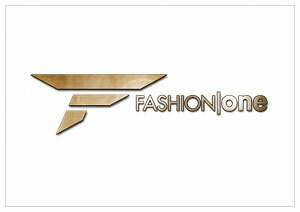 New York, November 1, 2012 – Fashion One LLC, the international channel for fashion, entertainment and lifestyle programmes, announces the launch of the channel on First Media, the biggest provider of pay-TV services and broadband communication network in Indonesia. The channel will commence telecast on First Media channel 353 starting November 1, 2012. Broadcasting the latest in fashion, entertainment, lifestyle news, profiles of A-list celebrities, luxury brands, holiday destinations and red carpet events, Fashion One will also deliver a strong lineup of original programming of reality shows, documentaries, beauty tips and street styles. "This is a historic moment for Fashion One LLC in Indonesia. First Media is a highly valued partner and we are very pleased about the cooperation in providing our audience with an exceptional visual experience in high definition. With the high economic growth in the country, we will keep working closely with First Media team to build a long-term relationship of mutual benefit," said Ashley Jordan, CEO, Fashion One LLC. "We have succeeded in launching the first High-Definition TV quality programs for the first time to Indonesia homes and we are proud continuing to be the first to launch Fashion One HD in Indonesia that represents another breakthrough service by First Media"said Dicky Moechtar, Director PT Link Net. The channel will debut with an original reality series, Eco Fashion, a groundbreaking new docu-series from Fashion One LLC that will take you on a mind-opening journey into the realm of environmentally sustainable fashion. From Iceland to Indonesia, Africa to Canada, India to California, forerunners of eco-friendly fashion are fighting against a world of waste by using innovative techniques of re-cycling, re-purposing and re-using.